Win The Negativity!!! The pain is inevitable, but the suffering is optional. 12 Facts. 3 We can't preserve ourselves from their influence because every healthy individual is subjected to their rule, once in a while. 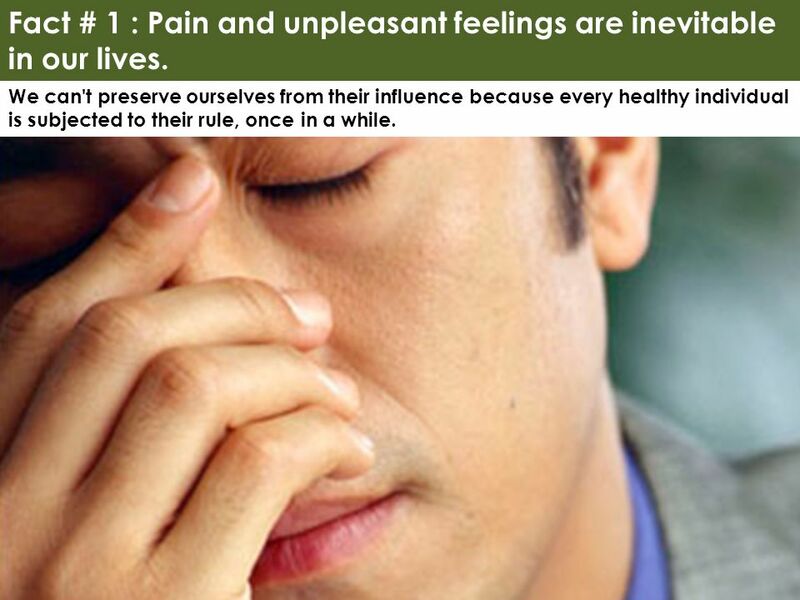 Fact # 1 : Pain and unpleasant feelings are inevitable in our lives. 4 If we perceive ourselves as something extracted from the Universe, then we'll easily measure our own pain as bigger and more unpleasant that the another one's. However, the Universe is a Unique Entity of which we are all a part of. Fact # 2: We are simply part of the Universe's circles. 5 From that point of view, no matter who experiences greater pain, the Universe grows! And that is the ultimate purpose of the pain in our lives. We grow through our pain, so does the Universe; through us, thus through itself. 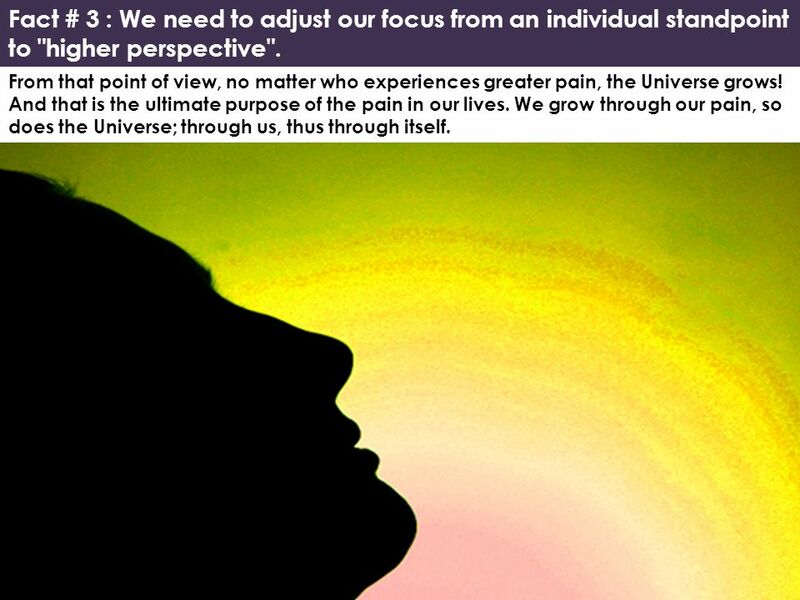 Fact # 3 : We need to adjust our focus from an individual standpoint to "higher perspective". 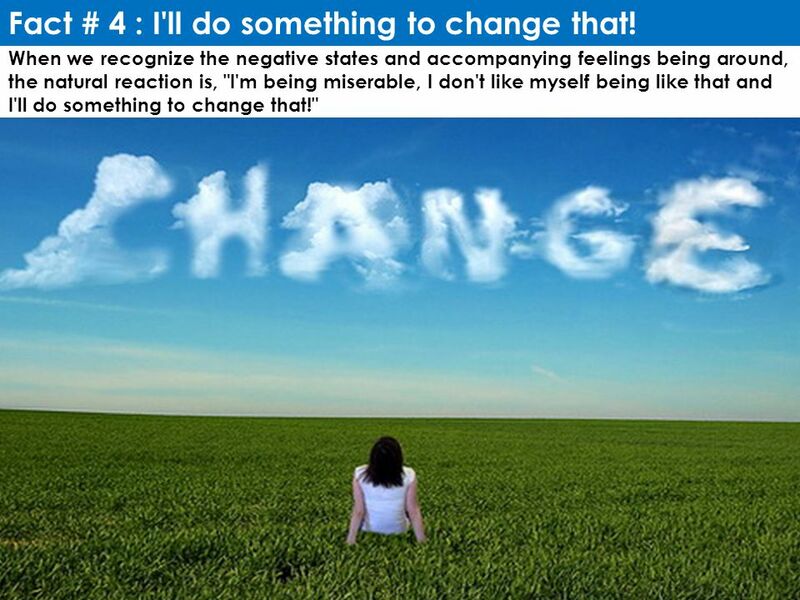 6 When we recognize the negative states and accompanying feelings being around, the natural reaction is, "I'm being miserable, I don't like myself being like that and I'll do something to change that!" Fact # 4 : I'll do something to change that! 7 That's fine. We've recognized the unwanted state and made resolution to change it. However, very often we make a simple, but crucial mistake that leads to a failure of our attempt. What's that? 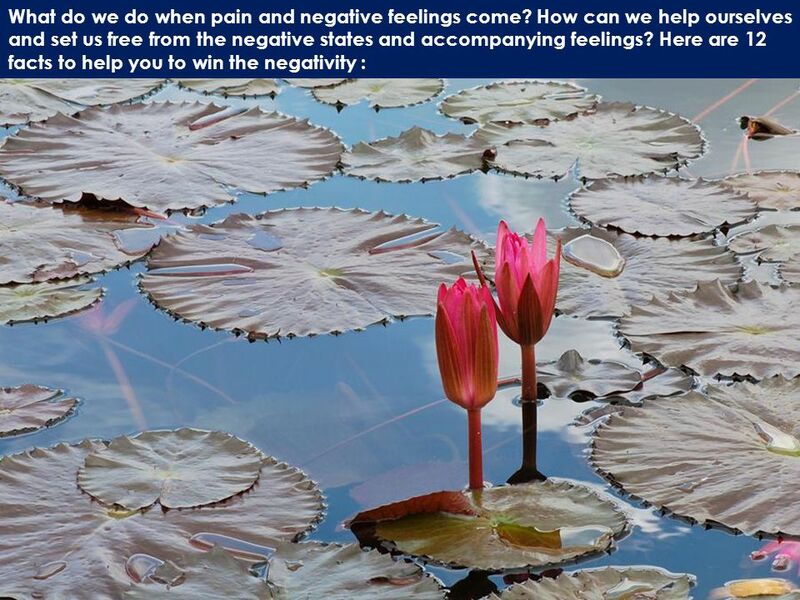 We begin to resist the negative feelings, trying to avoid them or replace them by desired ones. Nevertheless, it doesn't work like that. 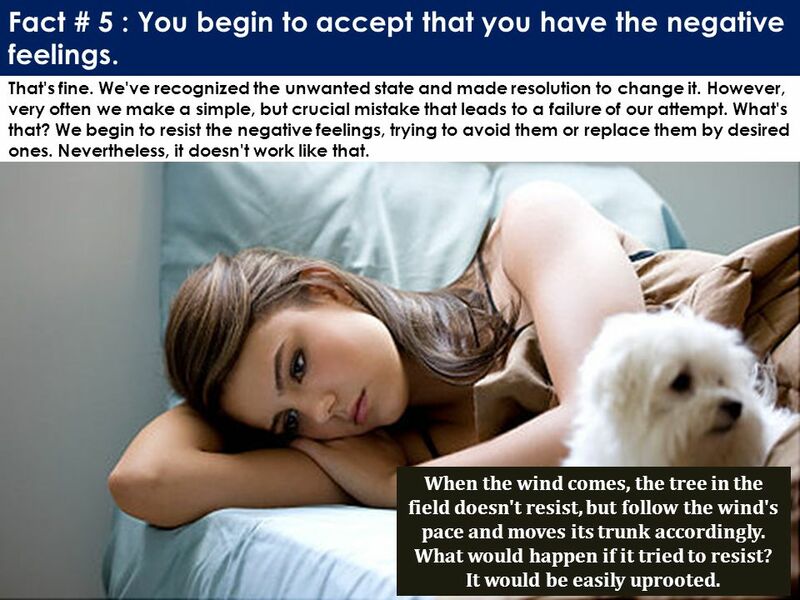 Fact # 5 : You begin to accept that you have the negative feelings. When the wind comes, the tree in the field doesn't resist, but follow the wind's pace and moves its trunk accordingly. What would happen if it tried to resist? It would be easily uprooted. 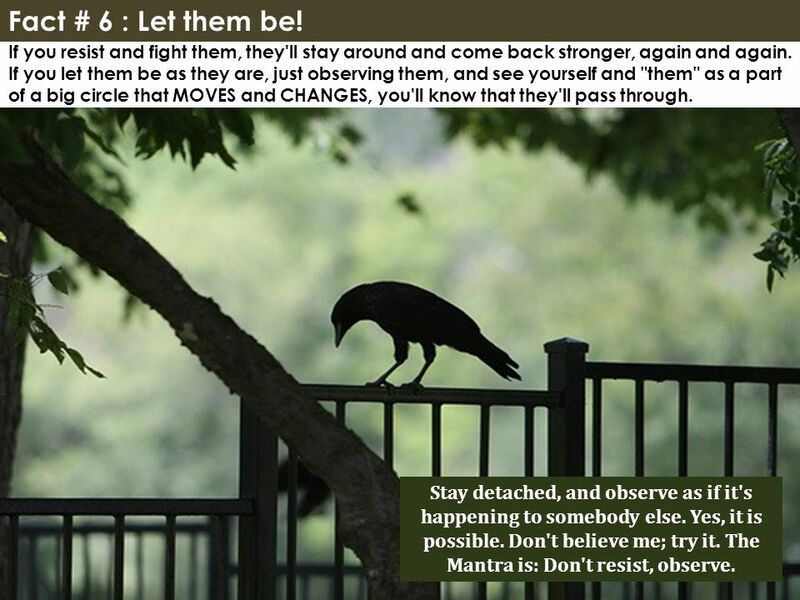 8 If you resist and fight them, they'll stay around and come back stronger, again and again. If you let them be as they are, just observing them, and see yourself and "them" as a part of a big circle that MOVES and CHANGES, you'll know that they'll pass through. Fact # 6 : Let them be! Stay detached, and observe as if it's happening to somebody else. Yes, it is possible. Don't believe me; try it. The Mantra is: Don't resist, observe. 9 We can't possibly replace the events that might cause unwanted states and feelings. It's like desiring that Autumn be replaced by Springtime because the former makes us feel blue, and the last one brings some vigor. 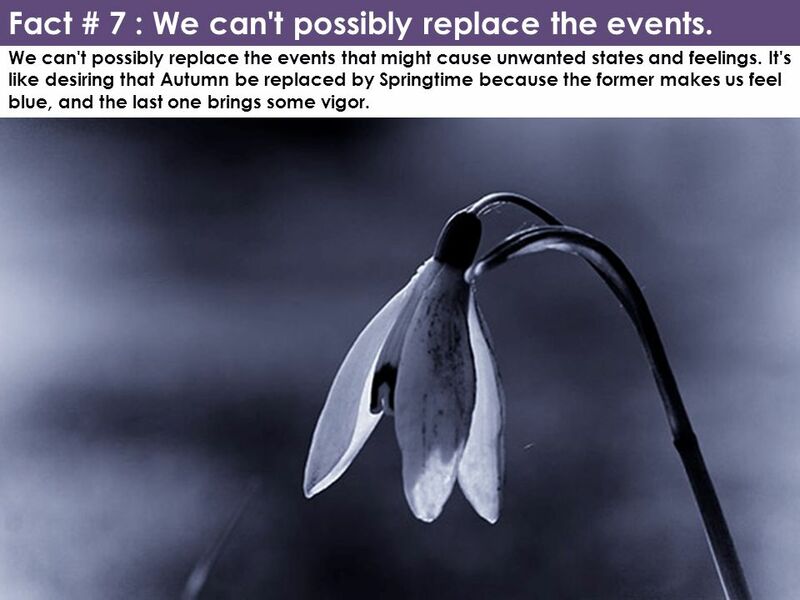 Fact # 7 : We can't possibly replace the events. 10 Pay good attention to what happens when the pain and accompanying feelings are gone. When they are gone, for some valuable moment, there is a void. Speaking in time-space language, for a limited period there is an empty spot in our being that is to be filled with desired content. Pay good attention. If you miss it, it would be probably filled with another unwanted content. 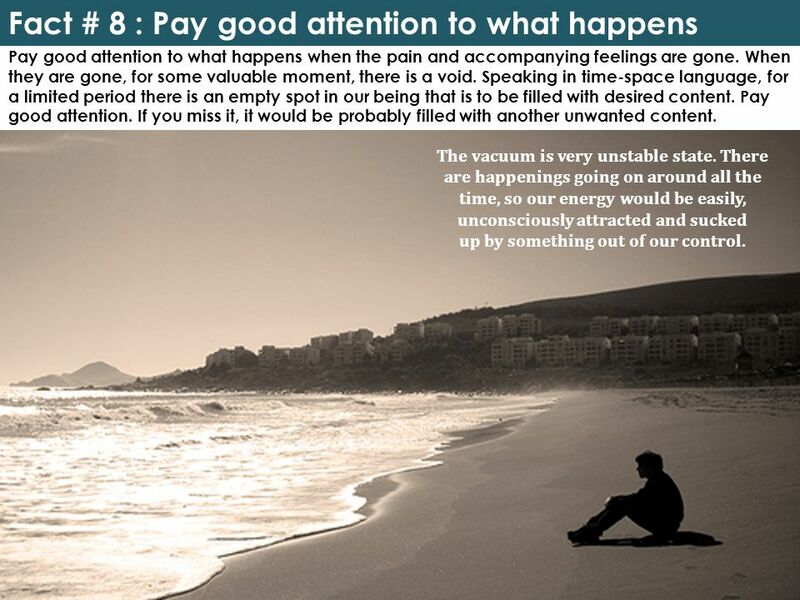 Fact # 8 : Pay good attention to what happens The vacuum is very unstable state. There are happenings going on around all the time, so our energy would be easily, unconsciously attracted and sucked up by something out of our control. 11 Use the void and fill it with something you have burning desire about. Let your imagination run free. Be creative in visualization your goal. See yourself being there, feel what would you feel when you get there, hear the voices and sounds that would be around, smell your success etc. 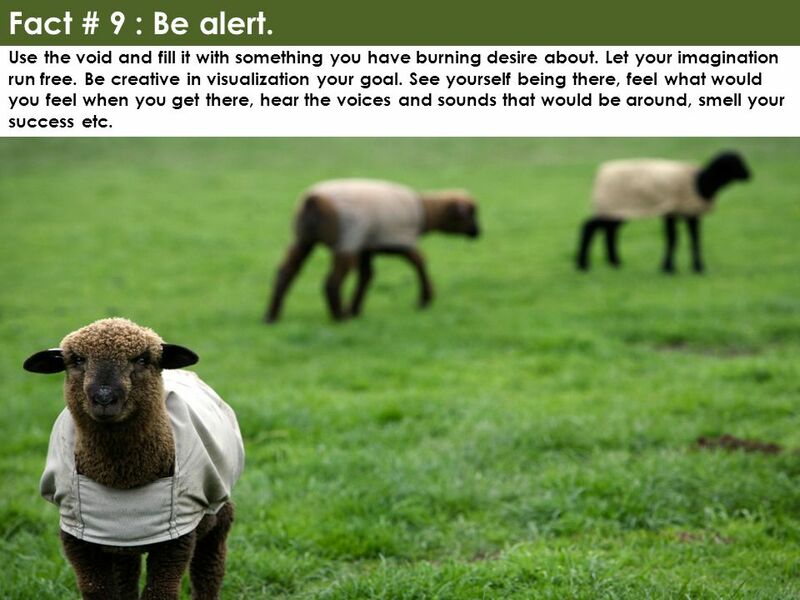 Fact # 9 : Be alert. 12 Yes, don't try to feed your "creation" by adding more and more attention to the final goal. Instead, recognize the variety of opportunities that would come and fit in your path. Don't discard or neglect any of them. Investigate them, use them, test them and keep a record of them. Each one that's coming around has a purpose. 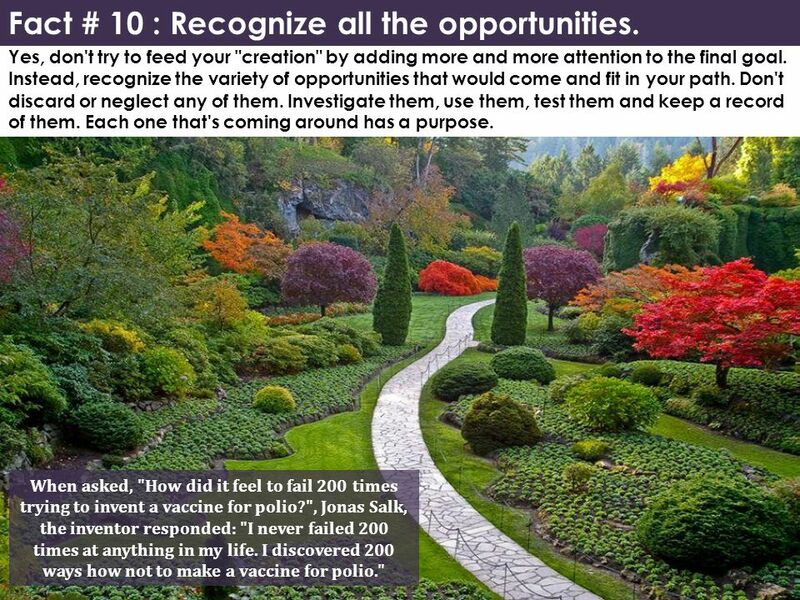 Fact # 10 : Recognize all the opportunities. When asked, "How did it feel to fail 200 times trying to invent a vaccine for polio? ", Jonas Salk, the inventor responded: "I never failed 200 times at anything in my life. I discovered 200 ways how not to make a vaccine for polio." 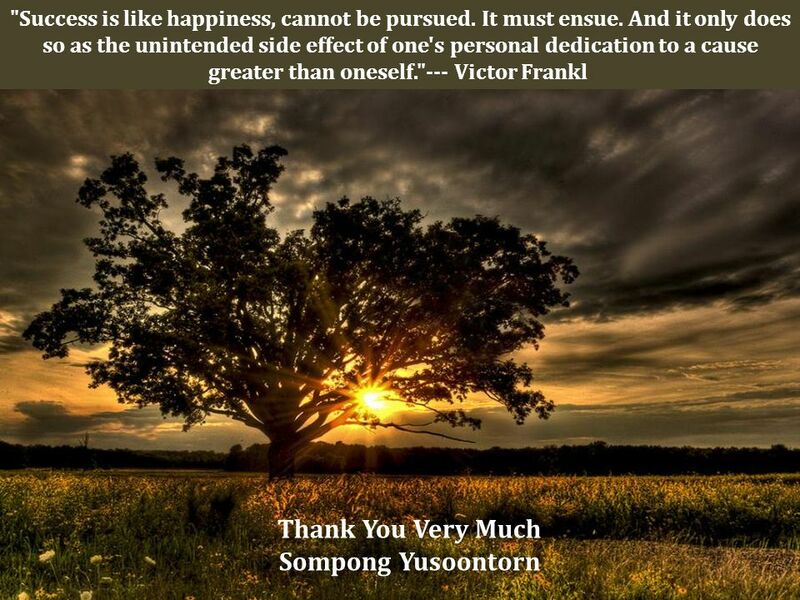 13 When you succeed, you'll notice a strange phenomena - the Journey has provided more satisfaction and excitement than the achievement itself. 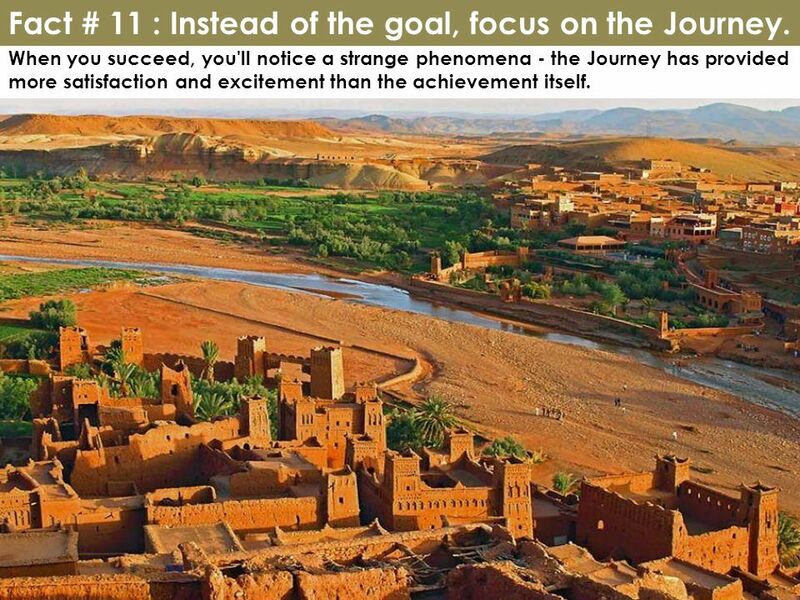 Fact # 11 : Instead of the goal, focus on the Journey. 14 By practicing this strategy over and over again, you'll eventually see yourself setting goals specific for higher self and purpose than your physical/emotional/mental self. Embrace the insight to the purpose of your existence there. You'll know the Journey has been worth walking it. 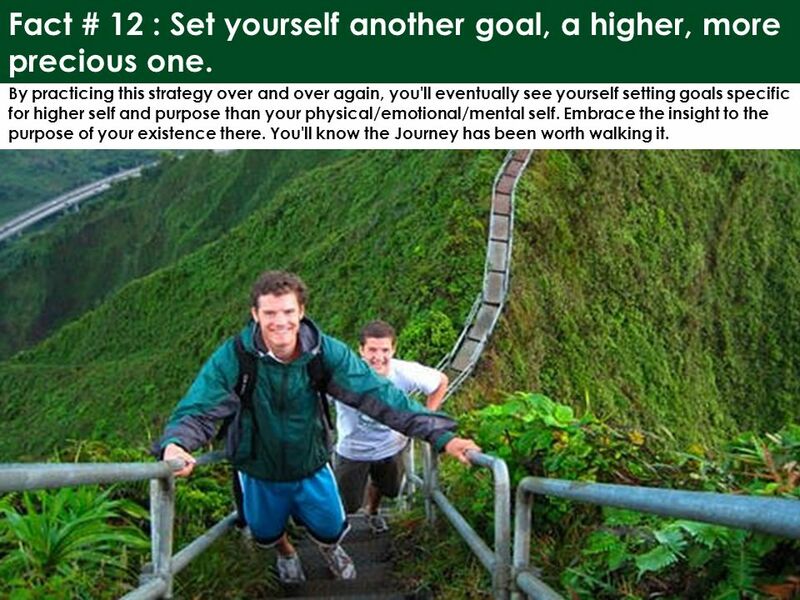 Fact # 12 : Set yourself another goal, a higher, more precious one. 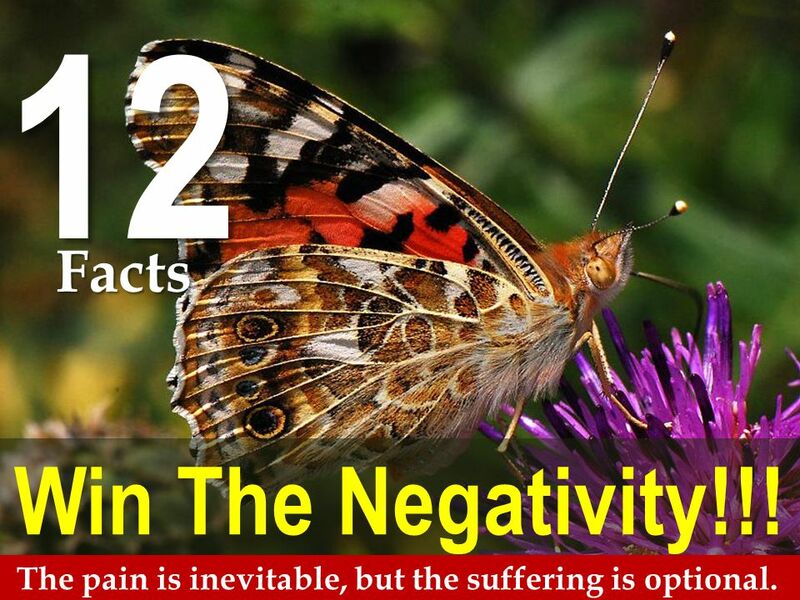 Download ppt "Win The Negativity!!! The pain is inevitable, but the suffering is optional. 12 Facts." Good Grief How grieving is necessary in overcoming loss and tragedy. Self-Talk How do you speak to yourself? Youre never going to get this right. Oh no! I hope no-one notices what a bad job Im doing! Ill have a go – it doesnt. ‘Skill Focus: Self Confidence & Fulfilling your Potential’ Sonia Bate, Director & Executive Coach, Edit Development. Playing and Leading Change on and off the Field, Court and Track Playing and Leading Change on and off the Field, Court and Track CONFIDENTIAL -- DO NOT. 12 Things To Avoid Move Your Life Forward. 15 things to "Give up..." to be much happier.